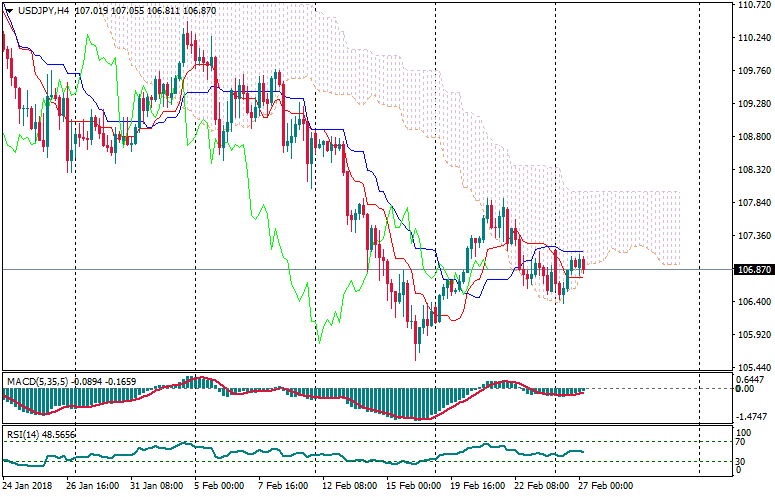 Technical levels: support – 106.50; resistance – 107.00. 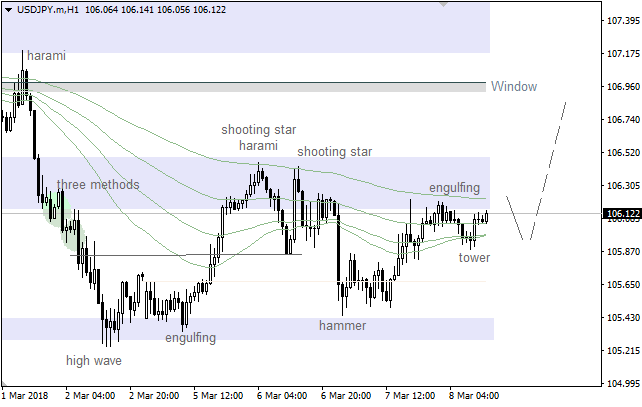 Sell — 106.80; SL — 107.00; TP1 — 106.10; TP2 — 105.30. 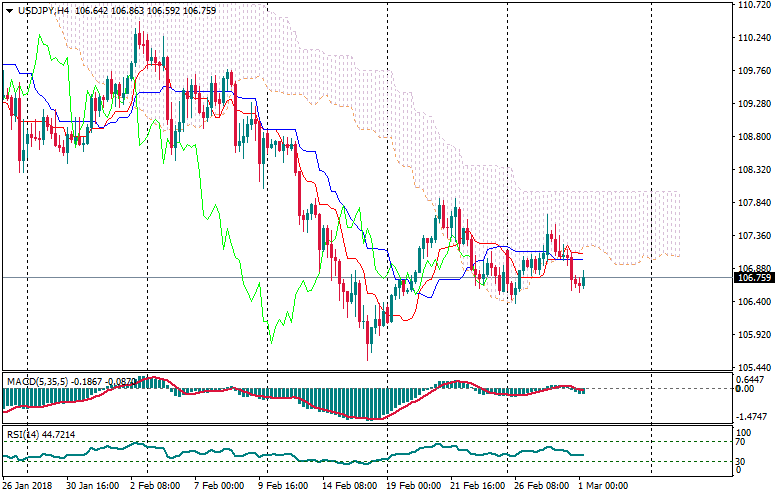 Reason: bearish Ichimoku Cloud with horizontal Senkou Span A and B; a dead cross of Tenkan-sen and Kijun-sen, the lines are horizontal; the prices are inside of a Cloud, but the Dollar looks very weak. 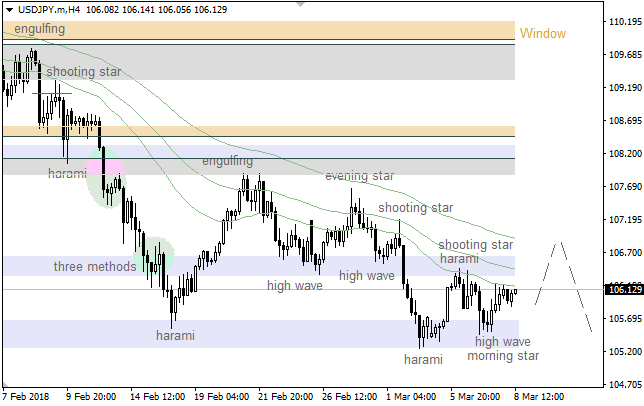 The 34 Moving Average has acted as resistance, so there's an "Evening Star", which has been confirmed. Therefore, the pair is likely going to test the nearest support area in the coming hours. 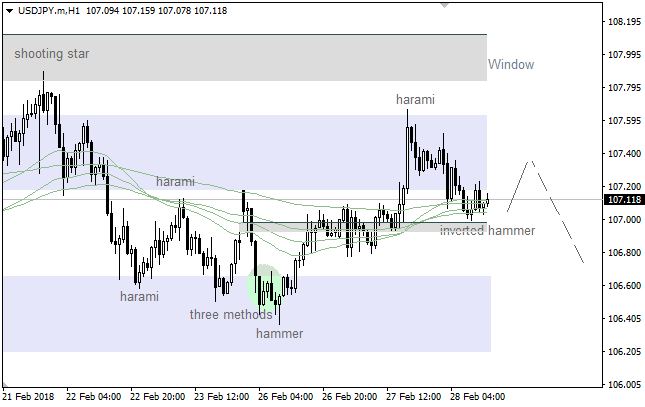 There's a pullback from the lower "Window", so we've got an "Inverted Hammer" pattern. In this case, we're likely going to have a local upward correction soon. Meanwhile, bears will probably try to deliver a new local low afterwards. Reason: bearish Ichimoku Cloud with falling Senkou Span A; a golden cross of Tenkan-sen and Kijun-sen, but the lines are horizontal and narrowing channel Tenkan-Kijun; the bears are breakdown the support of Senkou Span A, Tenkan-sen and Kijun-sen and the market may continue existing downtrend. The 21 Moving Average is acting as resistance, but there's a "Morning Star" pattern, which has formed at the last low. So, we should keep an eye on the 55 MA, which could be a departure point for another decline. There's a bullish "Tower" pattern, so the price is likely going to continue moving up. 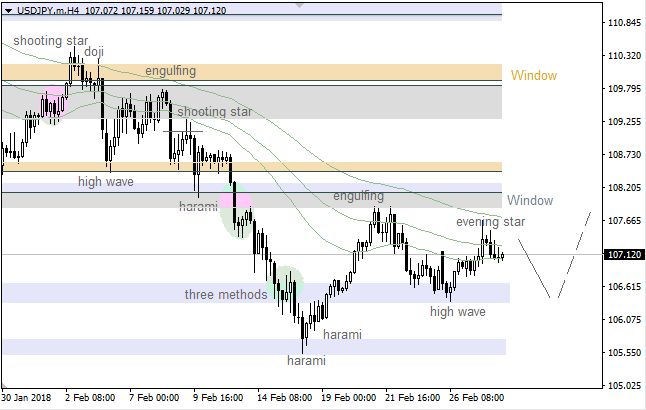 The main intraday target is the upper "Window", which could act as resistance. May I know the parameters of moving average in your trading strategy?